Battle spectacle and Korean national pride are the order of the day in Ryoo Seung-wan’s “The Battleship Island,” a heated account of the mining operation on Hashima Island off the coast of Nagasaki in Japan that forcibly conscripted thousands of Koreans (and Chinese) in World War II. Though Mr. Ryoo’s taste for heightened theatricality threatens his story’s credibility at times, there is no denying his skill with a large-scale action set piece. Five characters constitute the backbone of the story, which concerns an escape planned by Hashima’s captive laborers: a jazz musician (Hwang Jung-min) and his young daughter (Kim Su-an); a Seoul mobster (So Ji-sub) and one of the Korean “comfort women” forced into sexual slavery by the Japanese (Lee Jung-hyun); and a ruthlessly efficient operative (Song Joong-ki) sent by the Office of Strategic Services to rescue a high-ranking official. Their narratives entwine as the film advances to a bloody confrontation between the Japanese and the Koreans after an Allied bombing of the island. Subtlety is not Mr. Ryoo’s forte here: The Japanese are, to a man, caricatures of evil. 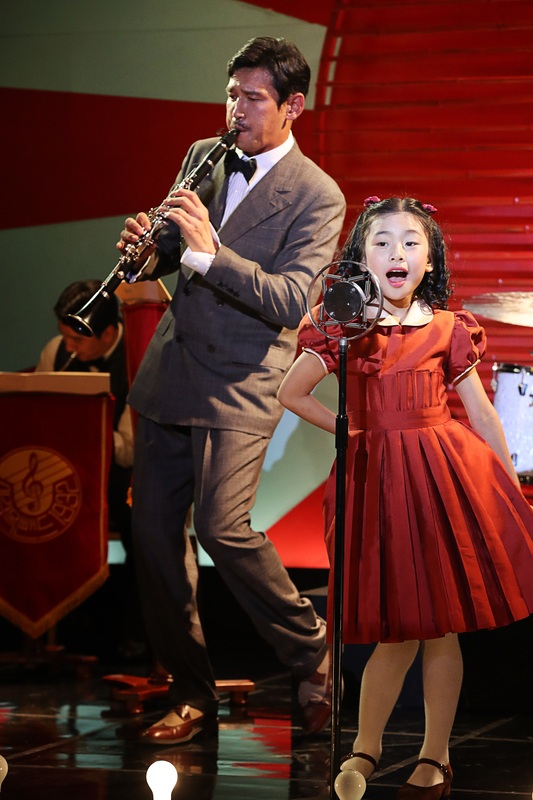 The musician’s daughter is at one point tarted up in lipstick, makeup and silk, when she isn’t tearfully crying out for her father, while Mr. Song’s operative character is an indestructible force of moral rectitude. But Mr. Ryoo adroitly moves his camera through vast, crowded settings, and the climax sweeps you up in its ineluctable intensity. Its aftermath vividly conveys the pain of a national wartime trauma whose scars clearly have not healed. Not rated. In Korean and Japanese, with English subtitles. Running time: 2 hours 12 minutes.